Who Is The Guy with the Bow Tie? I’ve never met my biological father. He left my Mom before I was born, and has since started his own family. The man who I call Dad took me in as his own when I was 5. I have so much respect for someone who can love and care for someone who isn’t his own blood. He’s the man I’m proud to call my Father this Father’s Day. Here’s what he taught me, and what you can learn from it when it comes to life and business. It took my Dad many years to find my Mom, but when he did, that was it. He was patient knowing the right one was going to come along whether or not she had a child. He also understood it was going to take some time to really love the child that wasn’t truly his. His patience paid off on both counts. I like to think I turned out okay, and my Mom and Dad went on to have my brother, who I’m so proud to call my brother. My Dad also owns a small business. It was an upholstery business out of his garage – as he needed to work a regular 9-5 to pay the bills while he toiled on evenings and weekends in the garage doing what he was meant to do. His first customers were family and friends who referred others to him. It took him 10-years to move from the garage to an actual store front. He understood success, and income wasn’t going to come for some time, and his patience paid off. During this time he taught me so much about life, and business. I didn’t know it yet, but during this period of seeing my Dad’s success, and failures in business – he ignited my inner entrepreneur. I owe my life, and my business life to him. Although now they’re one in the same. My life is my business. And my business is my life. Do you expect success to come right away? Do you understand it may take some time to bear the fruits of your labour? Seeds do not become edible crops overnight. It takes month’s of love. How much love, and patience are you devoting to your business? To your life? Labour of love is a cliché for a reason. It takes time and dedication to put in an effort without immediate gratification. I’ve been writing this blog for over 2-years now. It took me 6-months to get a paying client. My intention when I first started was never to make money, it was to provide value to those who are in the same situation I’m in. Turns out – they’re many entrepreneurs or soon-to-be business owners that connected with what I wrote, and continue to write about. 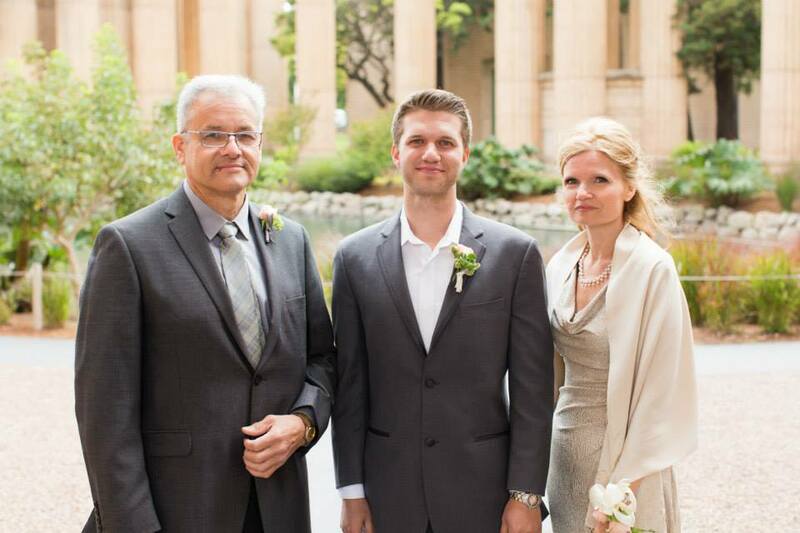 My Dad devoted his life to his business, and his family. When his business suffered, so did the family, and when the time came – he chose his family over his business. He shut his doors, and went back to working a 9-5 while dabbling in his own business on evenings, and weekends. His families well being took precedence over his business. His love for his family was stronger than that of his business. It’s an interesting cross roads you’ll be faced with. What’s more important? Are you able to intertwine business and family? I don’t have answers to these, but you’ll know what to do when the time comes. This is HUGE in today’s environment. The lines are blurred between who we really are, and who we present ourselves to be through social channels. In the age of selfies, and posting pictures ad nauseam to networks who then sell our personal information – do you become less aware of who you are? My Dad has no apologies on who he is, or what he believes. He’s as far right-wing as you can be. To the point where it makes most people uncomfortable. I don’t mind it because he’s been that way for as long as I’ve know him. I may not agree with him, but I appreciate that he’s willing to be himself. He’s extremely intelligent, but will never put anyone down for being lower on the totem pole than he is. He has a bit of an ego, but he’s always willing to check his ego to do what’s best for his family. He understands how he is viewed by other people. Do you? Do you pretend to be someone else at your 9-5 only to change when you come home? Is your business self different than your home self? If so, which ‘self’ are you lying to? Call up your Dad – tell him you love him, and take time to reflect on what he’s taught you – good and bad. This entry was posted in Marketing, Sales, Self Development, Small business and tagged branding, Business, Calgary, customer service, customers, differentiation, Father's Day. Dad, Guy with Bow Tie Marketing, Jordan Rycroft, Jordan The Guy with the Bow Tie Rycroft, marketing, marketing blog, Mom, personal brand, small business by Guy With Bow Tie. Bookmark the permalink.